Amini, K., Nategh, S., Shafyei, A., Rezaeian, A. (2010). The effect of deep cryogenic treatment on mechanical properties of 80CrMo12 5 tool steel. International Journal of Iron & Steel Society of Iran, 7(2), 12-17. K. Amini; S. Nategh; A. Shafyei; A. Rezaeian. "The effect of deep cryogenic treatment on mechanical properties of 80CrMo12 5 tool steel". 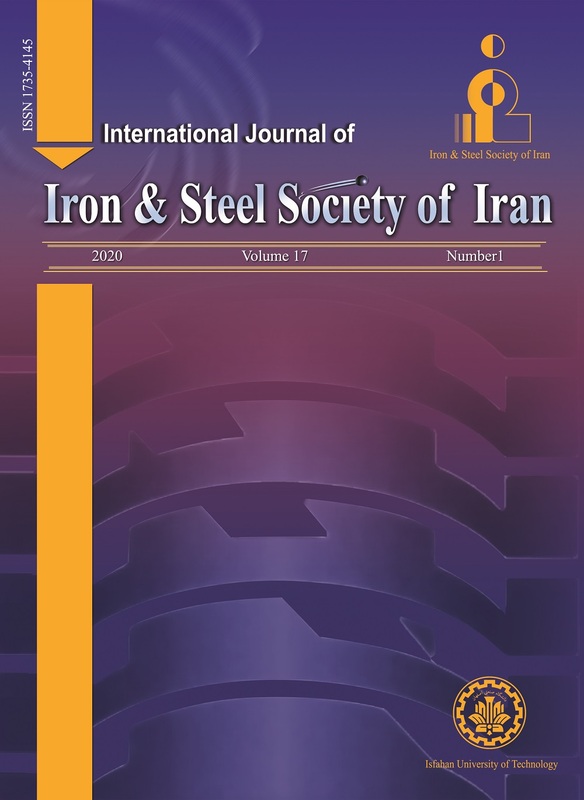 International Journal of Iron & Steel Society of Iran, 7, 2, 2010, 12-17. Amini, K., Nategh, S., Shafyei, A., Rezaeian, A. (2010). 'The effect of deep cryogenic treatment on mechanical properties of 80CrMo12 5 tool steel', International Journal of Iron & Steel Society of Iran, 7(2), pp. 12-17. Amini, K., Nategh, S., Shafyei, A., Rezaeian, A. The effect of deep cryogenic treatment on mechanical properties of 80CrMo12 5 tool steel. International Journal of Iron & Steel Society of Iran, 2010; 7(2): 12-17. Cryogenic treatment can be used as a supplemental treatment that is performed on some tool steels between quenching and tempering as an effective method for decreasing retained austenite and increasing wear resistance. In this research, the effect of deep cryogenic treatment (DCT) on dimensional stability and mechanical properties of 80CrMo12 5 tool steel was investigated. The martensitic transformation start and finish temperatures were also studied using dilatometry tests. The results show that the start and finish temperatures of the martensitic transformation are 254°C and - 87°C, respectively. The hardness increases (untempered) by 3 HRC after DCT. Thus, to decrease or eliminate the amount of retained austenite, cryogenic treatment is necessary. In DCT, impact energy and hardness at all tempering temperatures decreases and increases, respectively. Tempering transformations investigation using dilatometry tests, verified that the DCT increases dimensional stability. This is attributed to the transformation of retained austenite to martensite. D. Das, K.K. Ray and A.K. Dutta: Mater. Sci. Eng. A, 527(2010), 2182. D. Mohan Lal, S. Renganarayanan and A.Kalanidhi: Cryogenics, 41(2001), 409. R.F. Barron: Cryogenics, 22(1982), 409. M. Albert: Modern machine shop, (1992), 55. P.F. Stratton: Mater. Sci. Eng. A, 449-451(2007), 809. F. Meng, K .Tagashira, R. Azuma and H.Sohma: ISIJ Int.34(1994), 205. J.F .Huang, Y.T. Zhu, X.Z .Liao, I.J. Beyerlein, M.A .Bourje and T.E. Mitchell: Mater Sci. Eng. A, 339(2003), 241. A. Molinari, M. Pellizzari, S. Gialanella, G.Straffelini and K.H. Stiasny: J. Mater. Process. Technol, 118(2001), 350. A. Akhbarizadeh, A .Shafyei and MA.Golozar: Mater. Des., 30(2007), 3259. S. Zhirafar, A. Rezaeian and M. Pugh: J. Mater. Process. Technol., 186(2007), 298. D. Das, K.K. Ray and A.K. Dutta: Wear, 267(2009), 1361. P. Stratton, M. Graf: Cryogenics, 49(2009), 346. D.Yun, L. Xiaoping and X. Hongshen: Heat Treat. Met., 3(1998), 55. C.H. Surberg, P. Stratton and K. Lingenhole: Cryogenics, 48(2008), 42. ASTM E975-00: standard practice for X-ray determination of retained austenite in steel with near random crystallographic orientation, ASTM book of standards, V 03.01, West Conshohocken, PA, United States, (2004). ASTM 23-07ae1: Standard Test Methods for Notched Bar Impact Testing of Metallic Materials, V 03.01, West Conshohocken, PA, United States, (2004). M.A. Gervasev, M.A. Fillippov, B.D. Petrov, V.S. Paleev and Y.V. Khudorozhkova: Metal Sci. Heat Treat. 47(2005), 9. R.E. Reed-Hill, and R. Abbaschian: Physical Metallurgy Principles, 3rd ed, PWS Publishing Company, Boston, (1992), 664. S. Harish, A. Bensely, D. Mohan Lal, A. Rajadurai and B. Lenkey: J. Mater. Process. Technol., 209(2009), 335. K. Amini, S. Nategh and A. Shafyei: Mater. Des. 31(2010), 4666. Y.Z. Zhu, Z.M. Yin, Y. Zhou, Q.F. Leiand W.S. Fang: J. Cent. South.Univ.Technol, 15(2008), 454.